When the good people from the dailypost photo challenge came up with this idea of “symbol“, I thought ‘oh my! I’ll never make it.’ Then as I was furrowing in my files, I landed on my Berlin Flickr album and it all started making sense. Even more so after seeing Labyrinth des Schweigens on Sunday (the Labyrinth of Silence, weirdly translated as “the labyrinth of lies” even though it is true too, that is was a labyrinth of lies). A gripping and horrifying story. 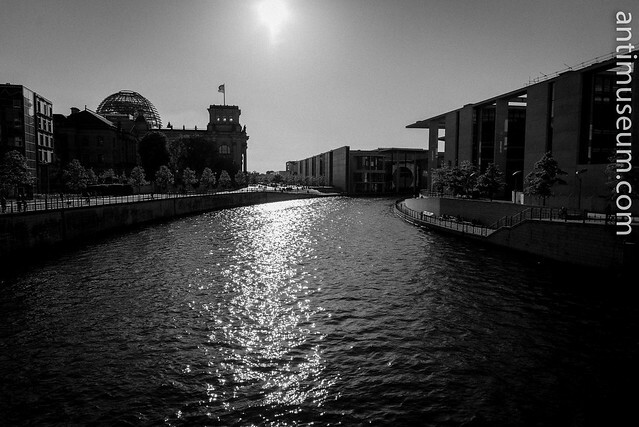 It is true that Berlin is full of symbols. Not all good ones I’m afraid. Let’s start reviewing them. All starts with the symbol of the fight between France and Germany (Yeah! Once again) and Napoleon stealing the charriot on Brandenburger Tor, then Germans taking it back from Paris and the arch of triumph becoming Berlin’s symbol of Nazi Germany before it ended up right in the middle of the no-man’s land (the Wall on its western side, barbed wire on its eastern side, no one was able to go there for 37 years). Talk about symbols. 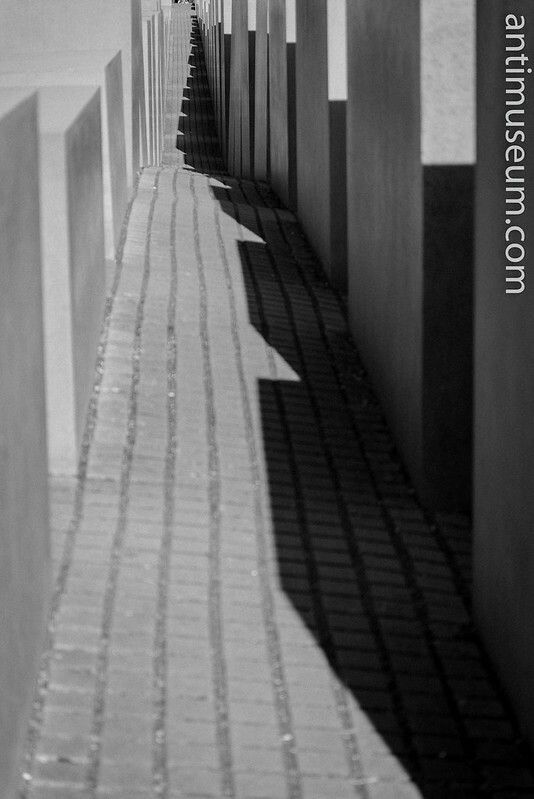 A stone’s throw from the Gate, a recent monument was set up (2005): the memorial to the murdered Jews of Europe. A beautifully stern and moving monument. 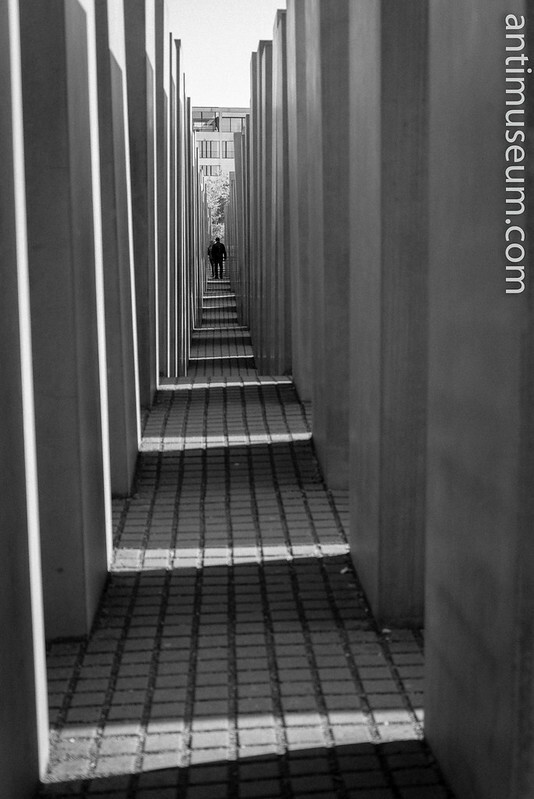 I took quite a few pictures, if only to remember all those people who were recklessly murdered (hence the above). Let them be remembered. Always. I found the monument inspiring and moving. Not everyone agrees. 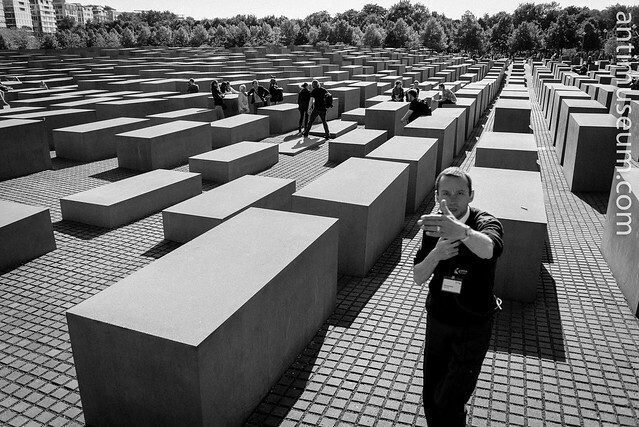 As I wanted to take a better picture of the monument, I climbed on one of the stelae, and a security man came to me very angry. I didn’t mean wrong though. 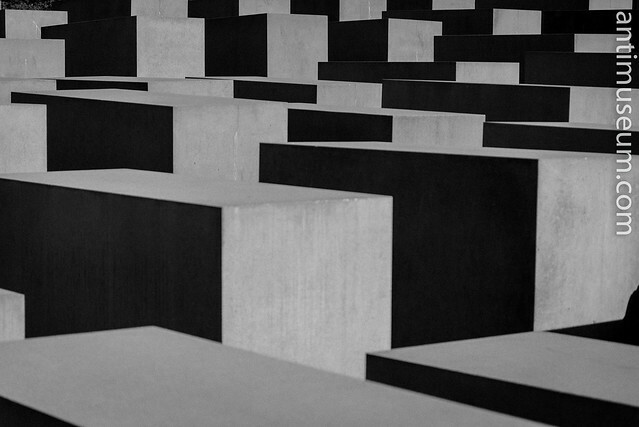 Half of Berlin’s children were jumping from Stela to Stela and it didn’t seem to annoy anyone. I kept the picture, maybe it’s another symbol. Who knows. 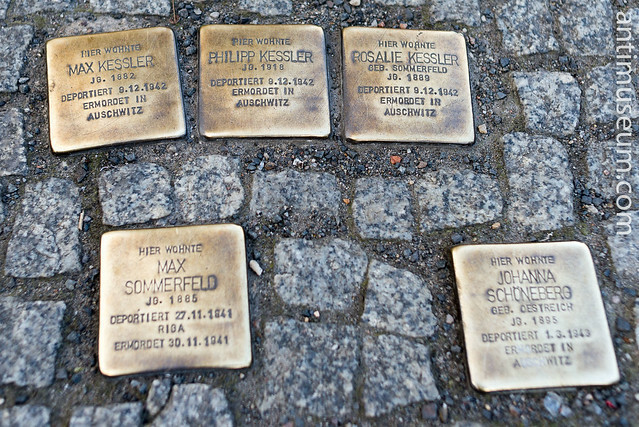 Here and there you will find cobbles replaced with these much smaller memorials to slaughtered families and people. When I saw that I felt absolutely terrible and almost ashamed I was a tourist in that area. And as I was crouching on the ground to take pictures, people were passing by without even noticing. Hier Wohnte Max Sommerfeld. How accusing such a simple sentence. Symbols. Symbols. 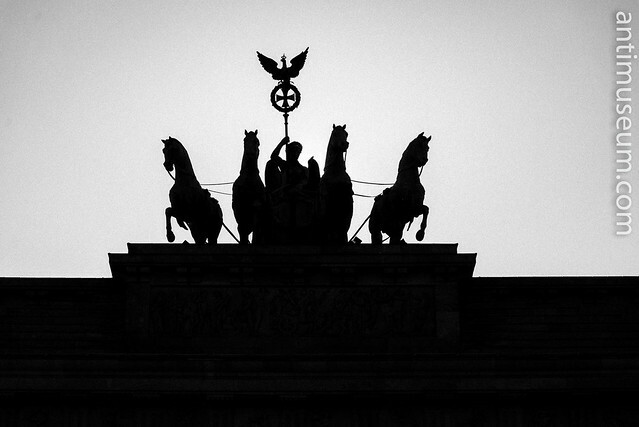 Symbols do abound in Berlin. And I must admit I always have that issue with Germany, of which I speak the language even though badly, this must be pointed out. 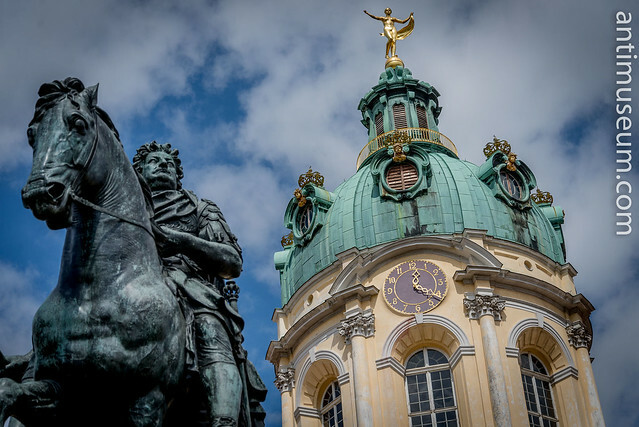 I am very much attracted to both German culture and language and history. My love for German music knows no bounds. I always find it so peaceful there, it’s like jumping back in time. I remember finding myself in Nürnberg and it was so quiet and peaceful it reminded me of my small town when I was a kid. All quiet. Nürnberg. Can you think of it? No, you can’t wipe that out. Certainly not Nürnberg. 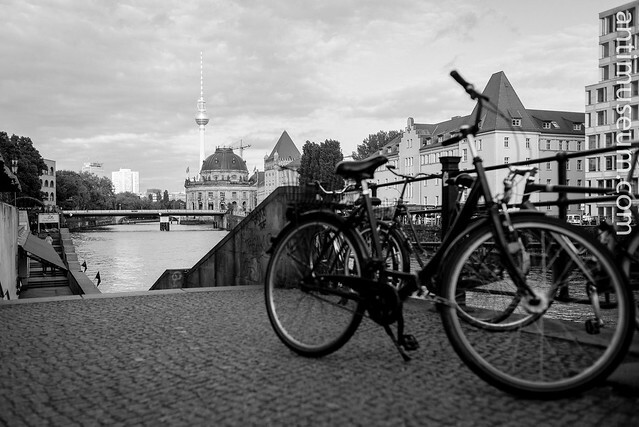 Berlin is like that. You can’t help loving it, it’s brilliant. It’s so up and coming, so cosmopolitan, so everything. And then you read Geoff Walden’s page and you find out that traces of that filth are everywhere. Talk about symbols. 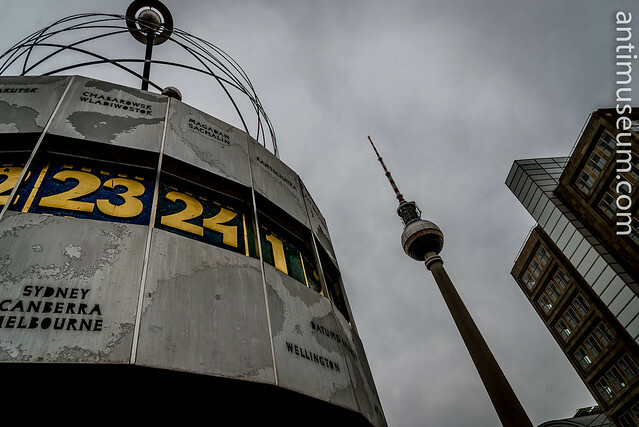 Let’s take Charlottenburg for instance. Brilliant isn’t it. That elegant 18th century building is great for a stroll on the hop on hop of bus isn’t it? OK, it was severely damaged during WWII and rebuilt from 1950 onwards. as shown underneath but who cares about that now? Yet opposite the palace there were a couple of handsome 18th century buildings. Looking closer I found an inscription about the purpose of that building: the Nazi military police school, at which Klaus Barbie (famous for torturing many people and murdering French resistance Chief Jean Moulin) amongst many of these monsters were trained. Oops. Let me get back on that hop on hop off bus please. 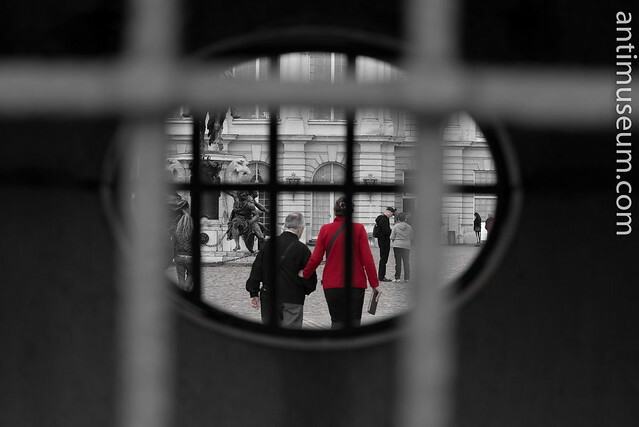 It looks like Germany is made prisoner of its past, it cannot escape it, these people are trapped. We are trapped too. We are part of this history. Not all of our people were brave either. Not everyone can be a hero. OK, it’s a bit feeble but we have to find excuses don’t we? More of the same with the infamous “Reichstag” (I have a problem with that word, why on earth aren’t they calling it Bundestag!?). At least that one was burned down by Hitler himself. It can’t be a symbol for the forces of evil then. Phew! Yet, there is more to it. Not only Berlin has to cope with its grim past, but half of the City was East German, hence the green “Ampelmann” (i.e. 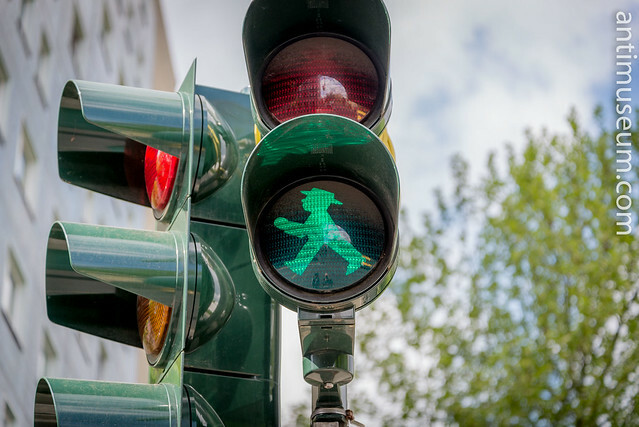 traffic light man literally) which shows that you would have been in East Berlin. From one dictatorship to the next. More symbols. More dead people, more persecution, more evil. 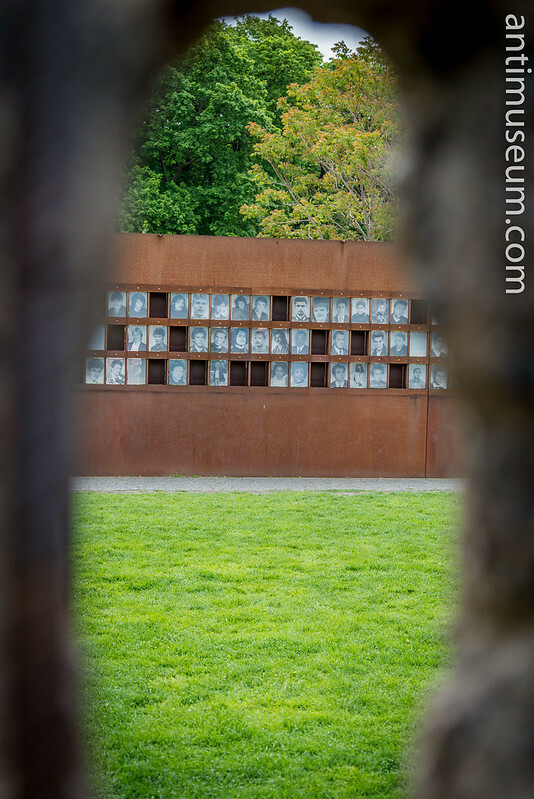 The stains left by that wall and the partition of Germany at large are not always visible. But they are in all people’s minds. They still have difficulties coming to terms with this other part of their past. 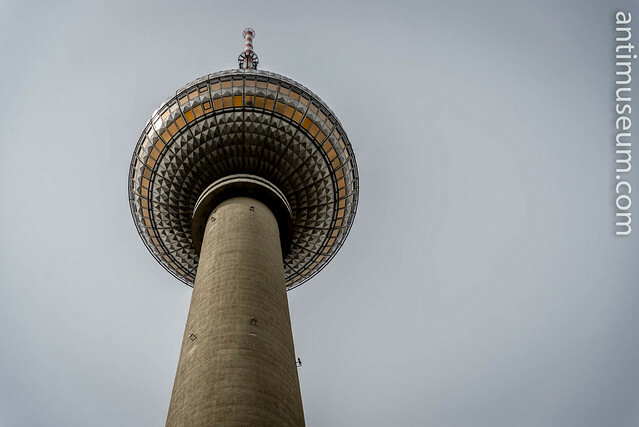 The ubiquitous Fernsehturm (TV tower) in “Alex” (Alexander Platz). Surrounded by those pink and mauve pipes which are in fact permanent: a means of pumping the water in the soil and sending it back to rivers and canals. Very strange for a country versed in engineering. Half of France and Britain were built on swamps. Versailles was built on swamps. Why on earth would you want to do that? 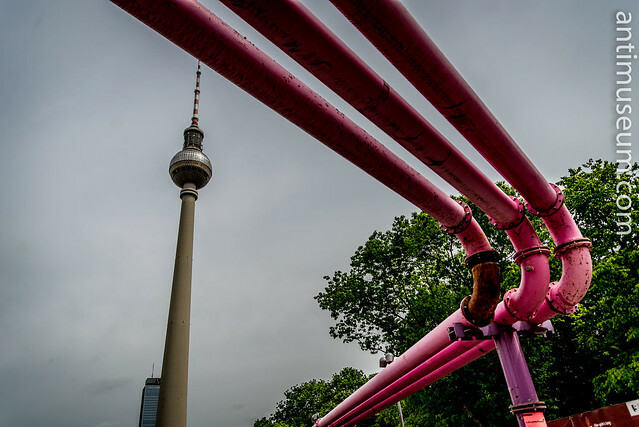 These pipes have become a new symbol for Berlin now. And they make for beautiful photography. But the country has changed. Fortunately. Foreigners have given it a different and more enthusiastic flavour. Like these young Turks celebrating a wedding at BrandenburgerTor. A symbol in front of another symbol, and life can almost go on as if nothing had happened.